Check out this resource on the new Canadian Anti Spam Laws that went into effect July 1. Visit http://exclusive.multibriefs.com/content/how-to-market-your-association-without-breaking-the-law/association-management to view the full article online. This only happens once every three years! Every three years the ICA releases an expansive study on consumer behaviors, including percentages of consumers using professional car washes, as well as demographic information of those individuals most likely to use a professional wash. 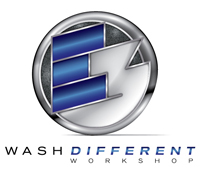 This year's Wash Different Workshop Sept. 22-23 features an in-depth look at the ICA's latest Consumer Study along with a deep dive into how to use that information to market to consumers. Plus, this year we've added Car Wash Tours to the program! Visit https://carwash.force.com/MN4__PublicEventRegistration?id=a0XU0000006Fk4kMAC to view the full article online. You're a car wash vendor? You belong here. Part of the E3 Series designed to enhance, educate and engage, this year's education program features Brian Beaulieu of ITR Economics along with information from ICA's latest Consumer Study (released every three years). Program registrants will also take a tour of the new Music City Center in downtown Nashville (location of The Car Wash Show 2016), hear about Car Wash Show Europe and other ICA programs and events, and have a chance to take part in a discussion forum. Visit https://carwash.force.com/MN4__PublicEventRegistration?id=a0XU0000006F4cXMAS to view the full article online. The year isn't even halfway over, but that doesn't mean it's too early for businesses to be thinking about their taxes. Jamal Ayyad, vice president of service delivery at SurePayroll, said this is the time of year when small businesses should ensure their tax situation is in order. Visit http://smallbusiness.foxbusiness.com/finance-accounting/2014/06/30/6-tax-prep-steps-to-take-now/ to view the full article online. According to the Bureau of Labor Statistics, 50 percent of all small businesses fail within the first five years. About 30 percent survive only two years. While every business is different, there are a few major mistakes that are among the most common people make when starting a business. Visit http://www.entrepreneur.com/article/235516 to view the full article online. More small companies than you might imagine are now making Wi-Fi available to their customers. These savvy businesses across the country include restaurants and coffee shops, to be sure. But they also include doctor’s offices, muffler and brake shops, bookstores, hair salons and car dealerships — in fact, every kind of small, main-street business where customers might have to wait for service or want to linger awhile. Visit http://www.crainsdetroit.com/article/20140723/BLOG122/140729940/wi-fi-at-local-small-businesses-better-than-candy-for-customers# to view the full article online. Consumers today are bombarded with information, yet have less and less time to process it. 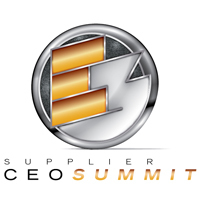 How do I get them to buy from my company? Visit http://www.chron.com/business/article/Small-business-Q-A-Branding-can-help-build-solid-5647912.php to view the full article online. If you show up to the Flagstop Car Wash in Chester with a dirty dog in the backseat and want to get your car cleaned, it shouldn’t be a problem. Now you will be able to clean your dog at the same time. Visit http://www.hopewellnews.com/article_6762.shtml to view the full article online. Tucson-based Mister Car Wash needed a new corporate home, and in choosing and renovating 222 E. Fifth St., has relocated 75 employees, added a few more with plans for future hiring, and, according to an audit that supported Mister Car Wash receiving an economic incentives package from the city. Visit http://www.insidetucsonbusiness.com/news/mister-car-wash-finds-corporation-home-downtown/article_e42382b8-1378-11e4-91be-0019bb2963f4.html to view the full article online. At three highly visible locations around Loveland, CO, construction has started on new businesses that will open by early 2015: a car wash, an auto-parts store and a tire center. The tunnel-type car wash will pull your car through its foaming brushes and spit it out on the other side, clean and dry, three minutes later, according to co-owner Erik LaPlante. Visit http://www.reporterherald.com/news/loveland-local-news/ci_26222649/car-wash-auto-parts-store-and-tire-center to view the full article online. Tony Greenwood, the owner of Blue Moon Car Wash and Detailing, said he wanted to reward his steady customers and entice others to experience a car wash from Blue Moon. Greenwood took over Blue Moon Car Wash and Detailing in 2000. He removed the automated equipment and decided a hand car wash delivered a much better quality wash.
Visit http://surfky.com/index.php/communities/67-local-muhlenberg-top-news/50826-business-spotlight-blue-moon-car-wash to view the full article online. A new business opening up in Gwinn is hoping to bring more people to the area. Happy Bubbles Car Wash will have a touchless laser wash, self service and even a dog wash station. Visit http://www.uppermichiganssource.com/news/story.aspx?id=1075090 to view the full article online. Donation to local chapter allows wishes of two Wisconsin children to come true. Visit http://carwash.org/news-landing/2014/07/28/pdq-and-dover-foundation-donate-$10-000-to-make-a-wish-foundation to view the full article online.